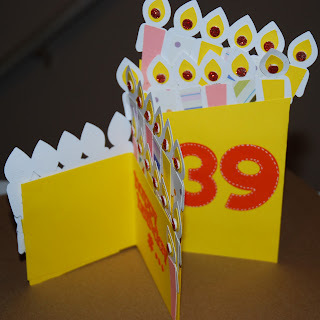 CardMonkey's Paper Jungle: It's Jennifer's Birthday "39 for the First Time Blog Hop" ... You're as Young as You Feel! It's Jennifer's Birthday "39 for the First Time Blog Hop" ... You're as Young as You Feel! you shake it every day that counts! Hi! 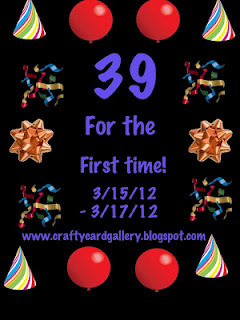 Welcome to Jennifer's "39 for the first time blog hop"!! If you've come from my buddy Ashley's Glamorous Side of Scrapping blog, you're on the right track. 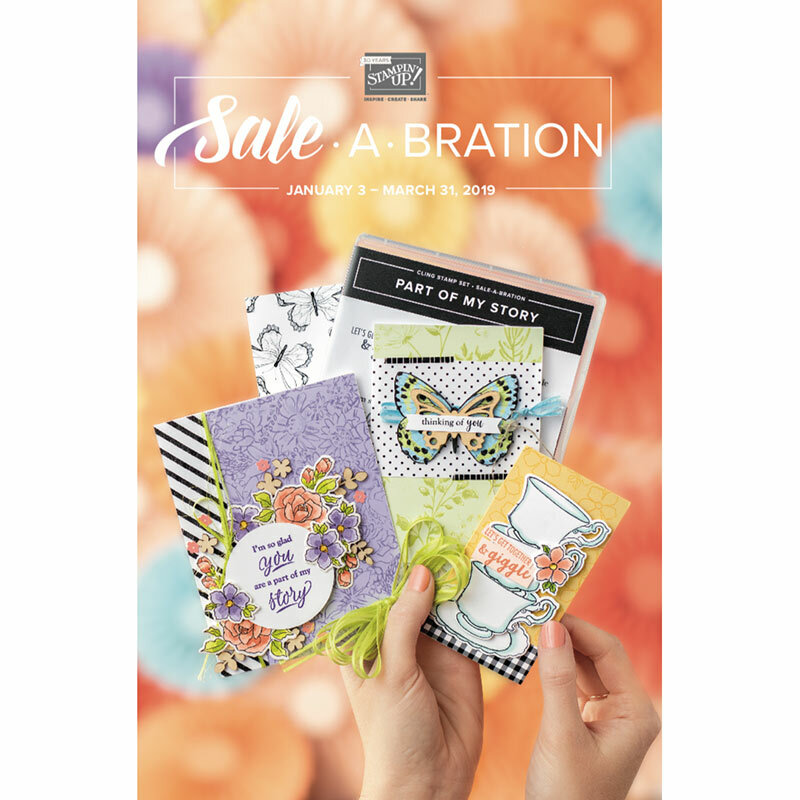 If you've just wandered onto the scene here, do stop by the blog hop's start at Jennifer Restivo's Crafty Card Gallery and wish her a happy birthday. Anywhooo, Jennifer decided to throw her own card party since she had so much fun having a hop on her birthday last year. This, however, is the first maybe-annual 39th birthday party ... you know what they say about getting to that 4-0 hill. It's just so much fun, Jennifer just might be staying at the summit again next year, or maybe going back down that hill to celebrate the 1st anniversary of her 39th birthday ... just saying. At any rate, I made Jennifer a "never-ending card" last year, figuring that her celebration would be never-ending. This year, I incorporated one of the things I like so much to do when making my own cards, and that is: personalize them! Hey, had to rub it in a bit, since I am WAAAAAAAYYY Jennifer's senior. What the heck, my darling daughter reminded me tonight that on the birthday when she'll be celebrating 30 (in 3.5 years), I'll be hitting 60 and we should have a big blow-out (of candles??). At any rate, it DID remind me that every day is precious and to be enjoyed, and that age is just a number. 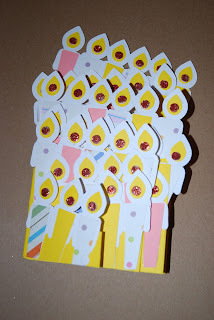 Who knew that at MY age there'd be such a thing as blogs (and Cricuts!? ), Twitter, Facebook and all of the rest of these techno-marvels. 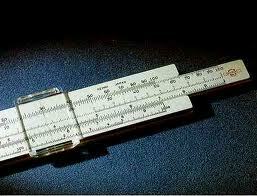 Heck, I didn't even have a pocket calculator in college ... we had slide rulers!!! EEEEEK!! Oh wait, before you run off, do make sure you check out the ways to qualify for Jennifer's birthday blog candy. She's giving away cake and ice cream ... oh wait, that's only if you live down the block (sorry, Jen -- maybe next year!). OK, now off you go. 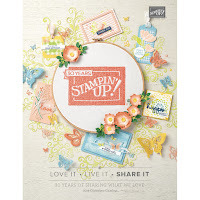 You'll be heading off to Jamie's Crafty Girl 21 blog. Geesh, I'm feeling like the grandma in this group. Oh wait, I AM a grandma!!! 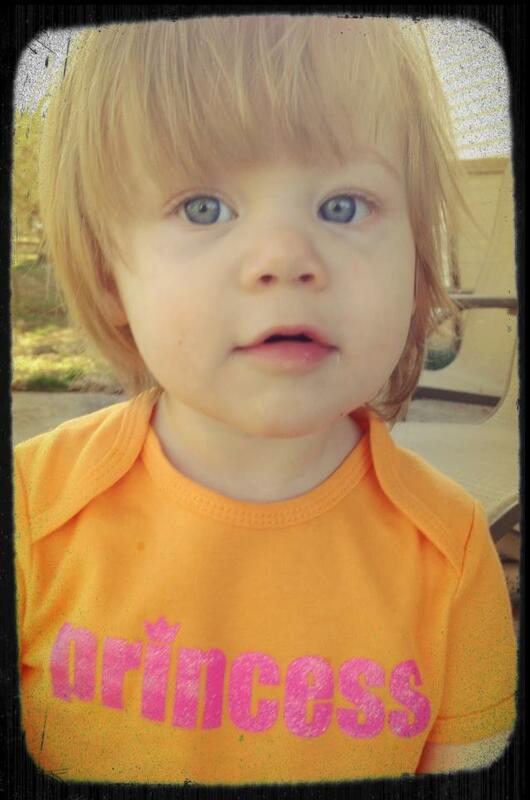 You just have to see this latest picture of Charlotte, now 15 months. Oh my gosh!! That card is so funny!! Very good job on it!! I am honored to be a part of this very special hop!! Thanks for sharing!! Ellen I just love you! I love your card, so creative!!! And Charlotte is a doll..
Super love the card. I love how creative and out of the box it is!!! Charlotte!!!! What can I say - CUUUTTTTEEE!!! 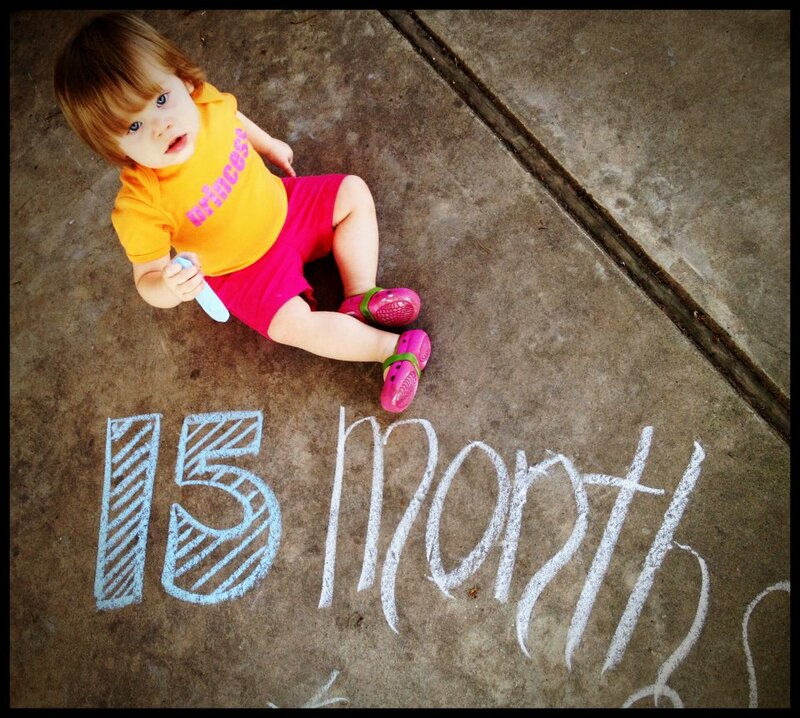 I absoutely love the chalk with her age!!! WOW! !cute card & sooo many candles, it's to cute!! Ellen your card is wonderful. What a great idea to have it open twice. Very cute card. I love Charlotte's new photos. She is getting so big. What a riot! Great work! Great card. Your grand baby looks adorable holding the chalk, luv that idea. I love your birthday card. Your granddaughter is so cute. Thanks for sharing. 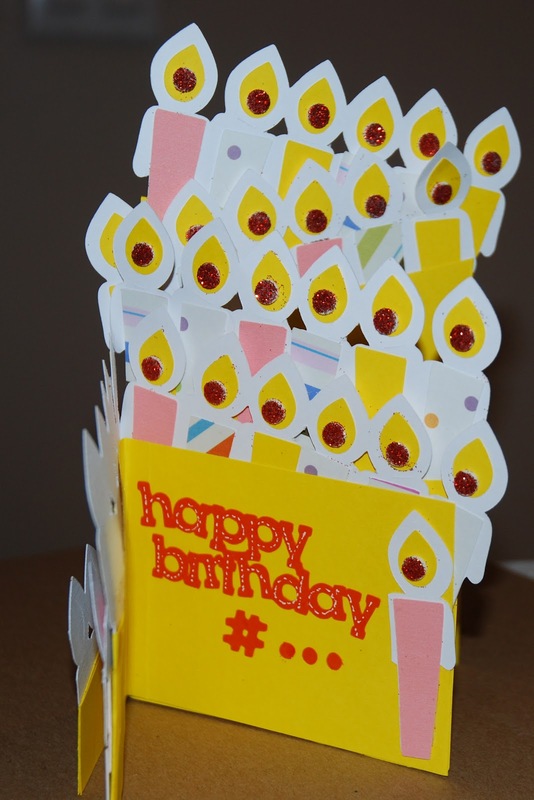 FABULOUS card all decked out in yellow but it still won't make her any younger! I know you know I can relate..I'll be 62 (almost typed 61) next month UGH!!!! As always, love your rambling oh so funny posts. I love the card! How did you do it? That is such a great idea! Your post is too funny, and you're mentally young, and that's what's important! It's been a pleasure knowing you in FB/Blog land! Thanks for being in the hop & helping to celebrate my birthday! That card is amazing! Thank you for sharing! !